Homemade Peppermint Patties are quick and easy no bake Christmas dessert recipe. Easy homemade Christmas candies are Christmas staple alongside traditional Christmas cookies.The best way to show your loved ones how much you care is to give them a homemade gift in form of these delicious Homemade Peppermint Patties. This can easily become your favorite Christmas recipe ever. There’s still a few days until Christmas and the easiest way would be to run to the store and buy a gift. But you don’t have to do that if you have an hour free, that’s how much you need for these Homemade Peppermint Patties. Using just a few simple ingredients, they are so easy to make and when they are done just place them in a cellophane bag and tie a ribbon. 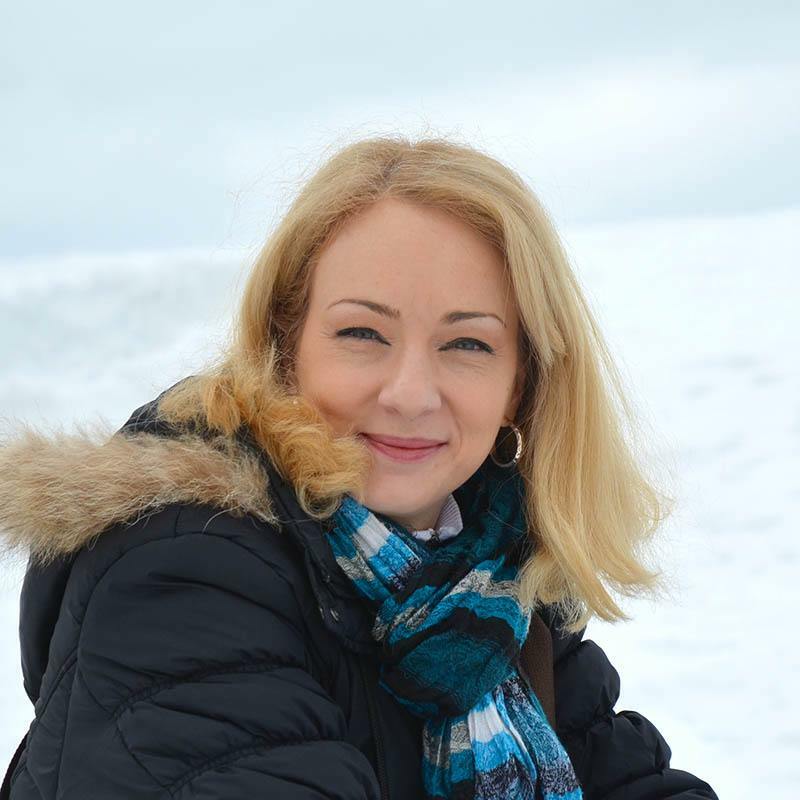 Believe me, it will be a real gift that will not leave anyone indifferent. You could also make these for a cookie exchange. Creamy textured candies, cool and minty on the inside with smooth chocolate coating on the outside, sprinkled with crushed candy canes, will simply melting in your mouth. Even if someone doesn’t love this classic winter combination of chocolate and peppermint, you just change the flavor of extract to make different flavored candies. They will also work well with coconut, vanilla… and I’m already thinking of the strawberry or raspberry flavored center. You could add red food color and cut them out in the shape of heart and these delicious Peppermint Patties with heart shaped sprinkles it will be lovely Valentine’s gift. 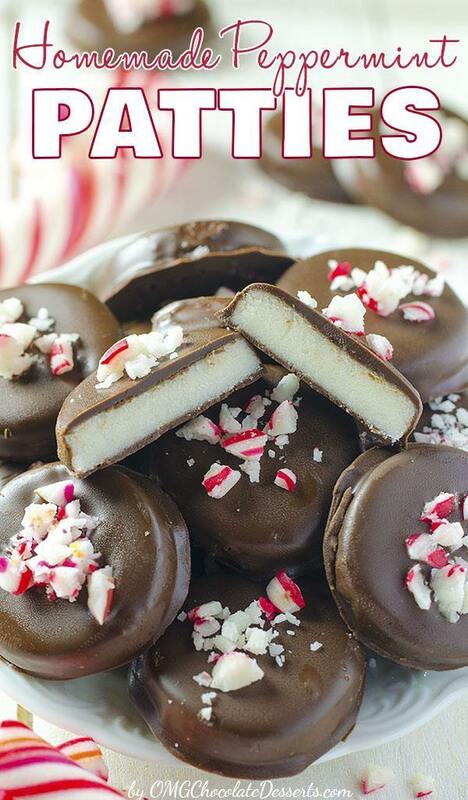 How to make Homemade Peppermint Patties? Mix together softened butter, cream, light corn syrup, lemon juice, peppermint extract and vanilla and gradually mix in powdered sugar (one cup at a time). At first it will be dry and crumbly as you start mixing it but do not panic. Continue beating with a paddle attachment until the mixture comes together. If the dough is still too crumbly just add an additional tablespoon of cream and if it’s too sticky add some powdered sugar ( but one tablespoon at the time). When you touch it, it should be soft but not sticky at all. Form the dough into a ball and then roll about 1/4 inch thick on a silicone mat or parchment paper. Set it in the freezer for about 15 minutes (until firm) and then using a small cookie cutter or a glass cut the circles. Place the circles back into the freezer for 15 minutes and melt the CandiQuik in the microwave. Dip Peppermint Patties (one at the time) in melted CandiQuik and transfer them again on parchment paper and sprinkle with crushed peppermint candies . Dipping process is really easy but if you take some time and patties become too soft to dip just chill them briefly in the freezer until they’re firm again. All this may sound too complicated, but believe me it is very easy. Homemade Peppermint Patties are quick and easy no bake Christmas dessert recipe. Mix together softened butter, 2 tablespoons cream, light corn syrup, lemon juice, peppermint extract and vanilla. Form the dough into a ball and roll it out about 1/4 inch thick on a silicone mat. Place dough in the freezer for about 15 minutes (until firm). Use a small circle cookie cutter (or a small glass) to cut out the candies, then place them into the freezer for about 10 minutes. Melt CandiQuik in the microwave and dip peppermint patties into chocolate. Place on a silicone mat or parchment paper and sprinkle with crushed peppermint candies. Is the cream, table cream or heavy cream (whipping cream)? HI Linda, you could use what you have on hand, it won’t change much. Anyway you can adjust the texture adding more powdered sugar if it’s too sticky. Is there a way of making these sugar free? leave out the syrup? use splenda instead of icening sugar? any ideas. I love these but I am diabetic so looking for alternatives. How long ahead can you make these for Christmas? Will they last a month in an airtight container? Hi June, sorry I haven’t tried to keep them that long. Hi Sarah, this recipe makes 35-40 small Patties.